Before you jump on the budget ban wagon you need to know where you’re at financially at this very moment. Sometimes we don’t want to truly face the fact that we are in financial trouble so we just keep doing the things that we have been doing and hoping for a different result. You need to take ownership of your financial situation no matter what it is. Taking ownership of you’re financial situation doesn’t mean that you are a bad person or that you’re not capable of managing you’re money. By taking ownership you are acknowledging that you know that your financial situation is not in good shape and that you are wanting to change it for the better. Now that you have taken responsibility of your financial situation and have figured out what your take home pay is it’s now time to get to work. This is when you really get to see what your spending habit looks like. To figure out what your expenses are you will need to gather all of your bills and bank account statements. Now create 4 main categories to put your expenses into. Your take home pay is not how much money you make before taxes are taken out. Your take home pay is the amount of money you have left after all taxes and deductions have been taken out of your paycheck. Your take home pay is also referred to as your net income. If you take your last 2 or 4 paycheck stubs and add the total net income up this will be your monthly take home income. For the next few months you will want to track where every dollars is being spent. 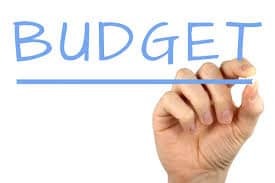 You will want to make any necessary adjustment to your budget based on your spending. A good way to manage your spending is to take out all of your spending money and leave everything else in the bank. Once you have spent all of your personal spending money try to refrain from spending any more money unless it’s really an emergency. One way to stretch your dollar further is with coupons. If you like to go out to eat, you will see that over time it takes a lot of money! Using a Chipotle discount code will help keep the costs down and still let you enjoy a nice meal. Now that you’ve figured out how much money you are spending in each category you will be able to create a budget based on these numbers. The first thing you will want to do is see if you monthly total take home pay is enough to cover all of the expenses that you have. If you have more expenses then income you need to see what things you can eliminate or cut the expenses down.